As reported by Matthew Liedke in the Bemidji Pioneer on Oct. 27, 2017. 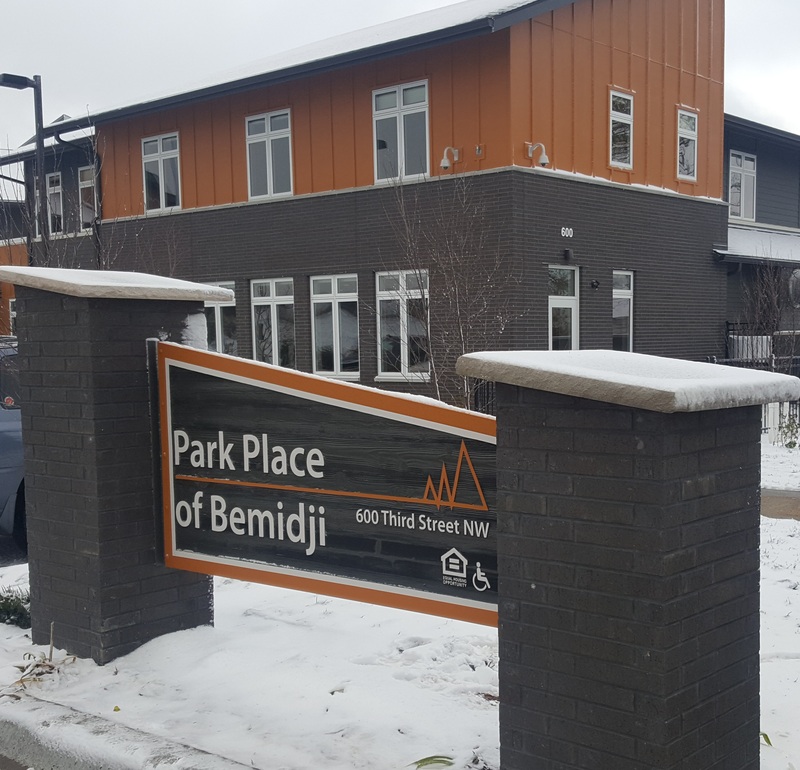 The atmosphere in downtown Bemidji was charged and optimistic Friday morning, as government officials, organization personnel and business leaders celebrated the opening of Park Place Apartments. The complex, managed by the Duluth-based Center City Housing Corp., includes 60 units, with 40 dedicated to single-room occupancy for those with chronic substance abuse problems and 20 efficiency apartments for the recently homeless. The goal of the development is to give safe housing to those individuals while facilitating their needs through off-premise services such as addiction treatment and mental health care. Located at 598 Third St. NW., the complex cost $7 million to build, and the project as a whole is estimated at about $10.8 million. Center City Housing Executive Director Rick Klun said the financing came from numerous sources and is used for three different purposes: construction, operation and services provided. Once operational, the complex will have about 20 employees working, including a registered nurse from Sanford Health and a case manager from Sanford Behavioral Health. Read the full story online in the Bemidji Pioneer. Cinnaire provided $3.2 million in equity to Park Place through a partnership with Minnesota Equity Fund.